Flight attendants and pilots face unique stresses and risks due to exposures that occur in the aircraft, as well as from issues outside of the aircraft such as fatigue brought on by disrupted sleep patterns. 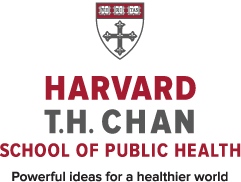 Understanding what those risks are, and what factors are associated with those risks, is a difficult and ongoing challenge that is being addressed in part by the following two studies from the Harvard T.H. Chan School of Public Health. AirSafe.com has teamed up with Harvard to encourage pilots and flight attendants to participate in a pair of studies that will help improve the scientific understanding of health issues faced by airline professionals. All US flight attendants are encouraged to participate in this flight attendant health study by taking the survey at fahealth.org. Past studies have found that sleep disorders, fatigue, depression and heart disease were greatly increased in female flight attendants compared to the US population. Check out the survey today to help make it both larger and more comprehensive than previous studies. Past studies on flight attendants showed significantly higher prevalence for some types of health risk. This current study intends to collect similar information from pilots to see if their work environment is also associated with increased health risks. All current and former airline pilots, from any country, are encouraged to visit PilotHealthStudy.org to take this anonymous survey. The researchers have taken steps to ensure that your surveys will be anonymous, and that it will not be possible to link any survey to a specific individual. In addition, you can skip any questions that you do not wish to answer, or withdraw from the survey at any time.